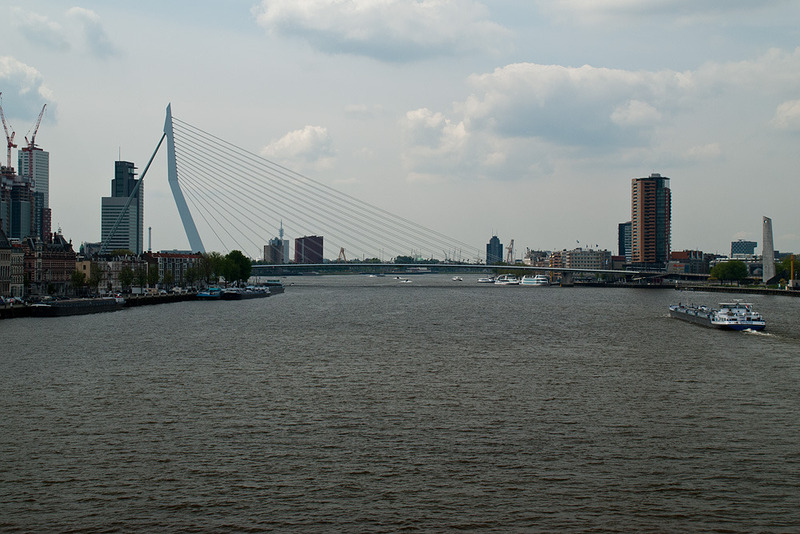 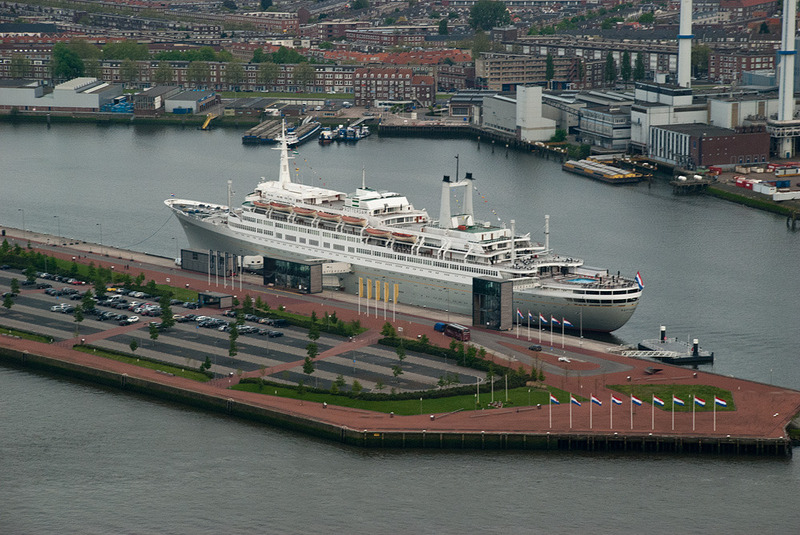 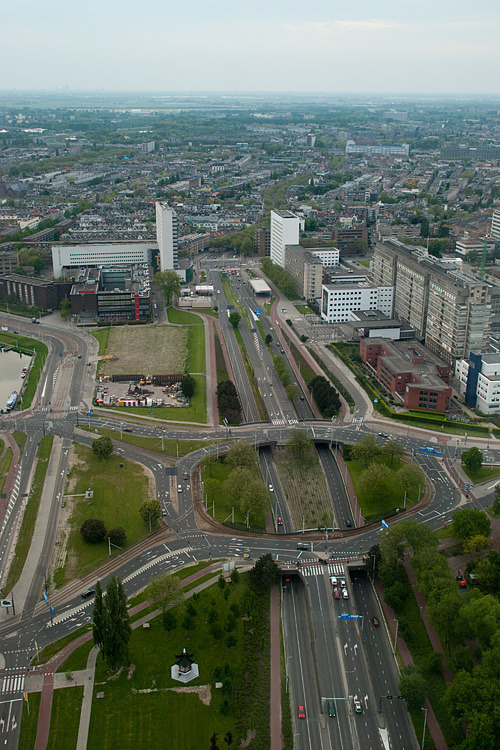 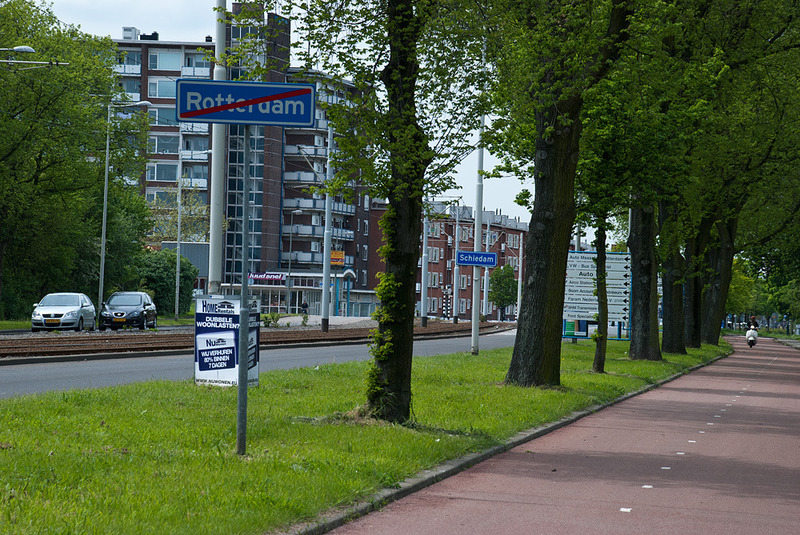 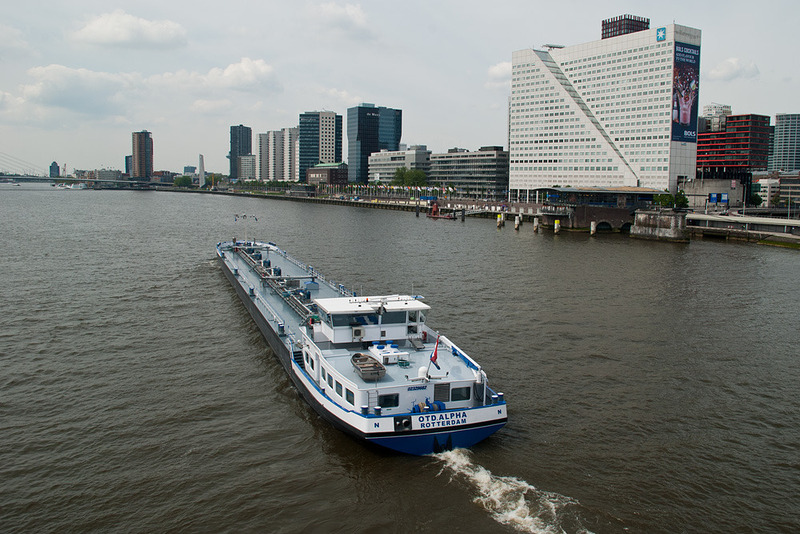 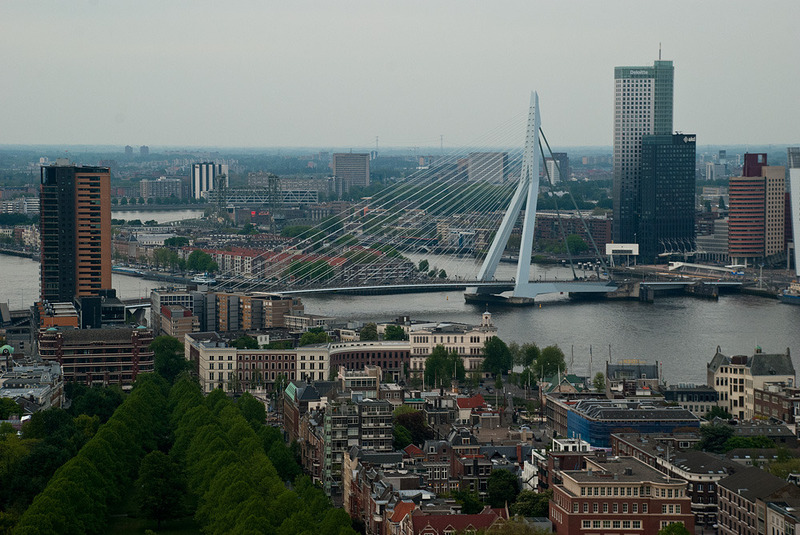 I had all Thursday to go around Rotterdam. 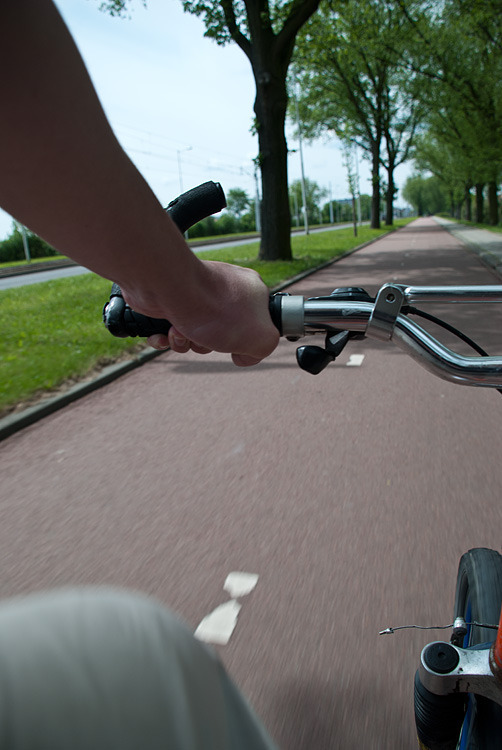 My host, Mike, lend me his bike, so I had the freedom of going wherever I could pedal that small ol’ rusty mountain bike. 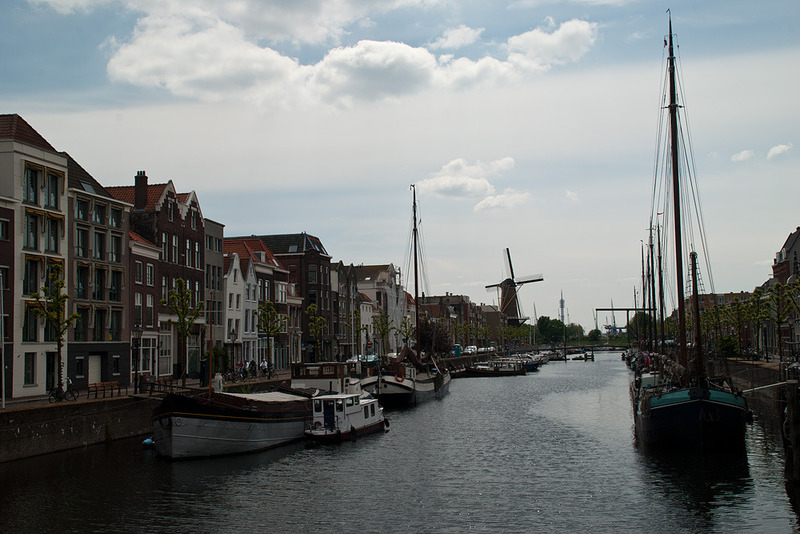 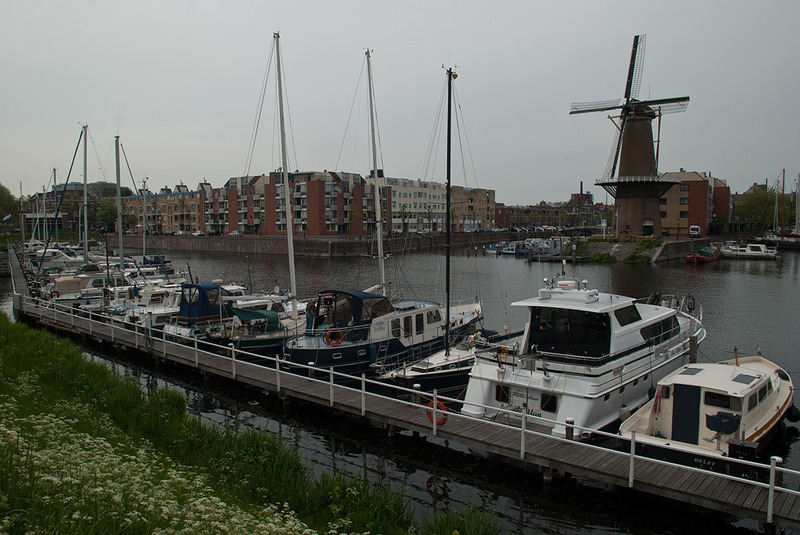 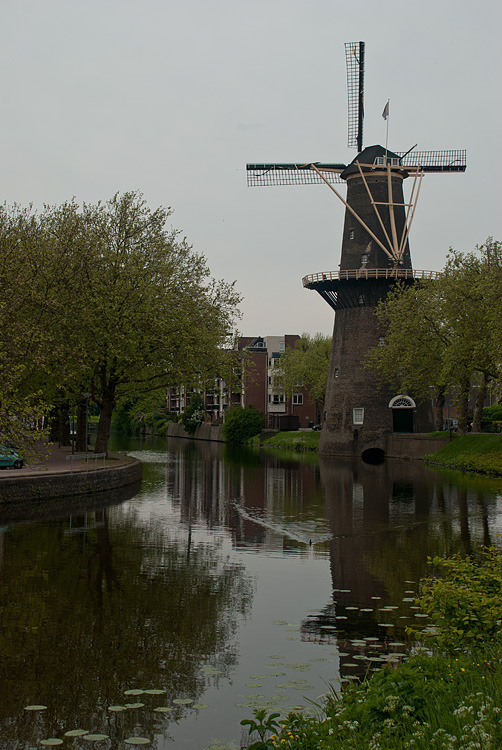 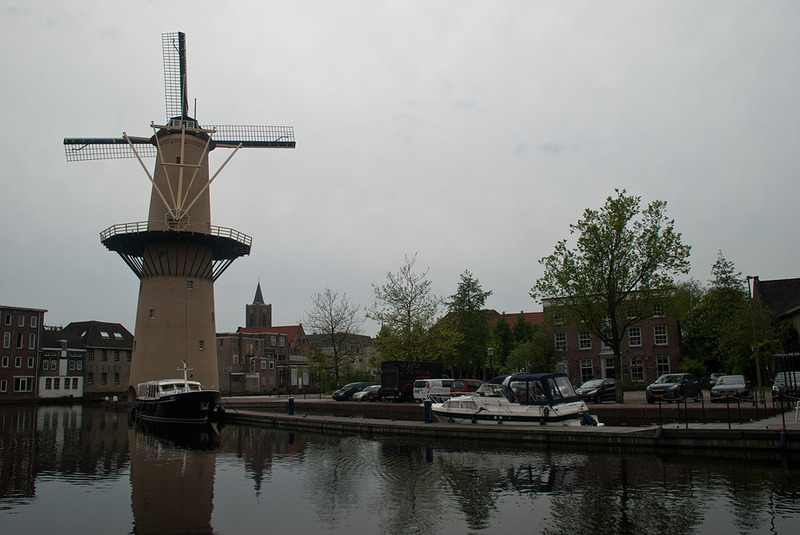 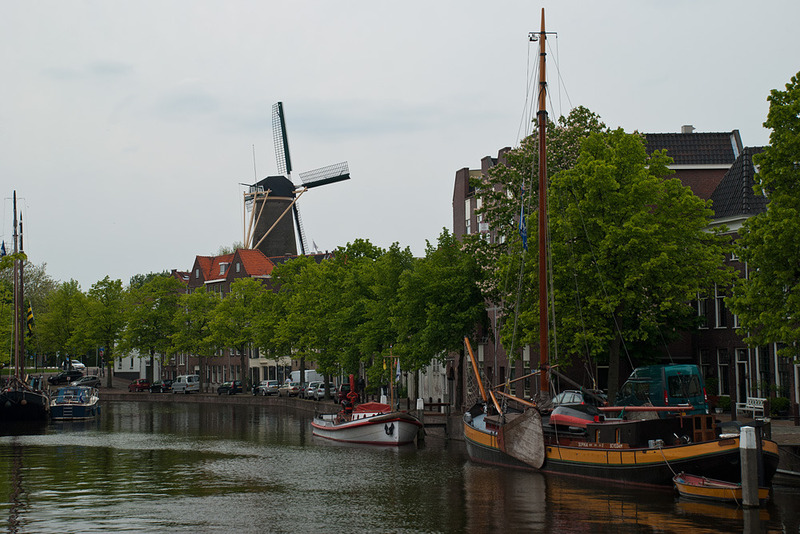 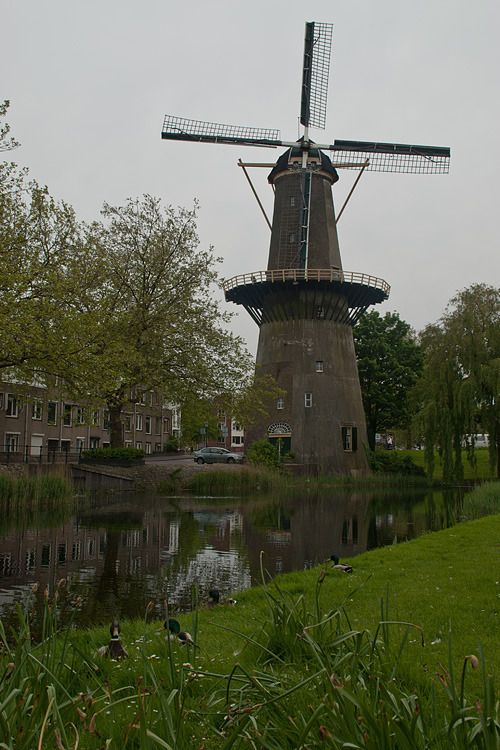 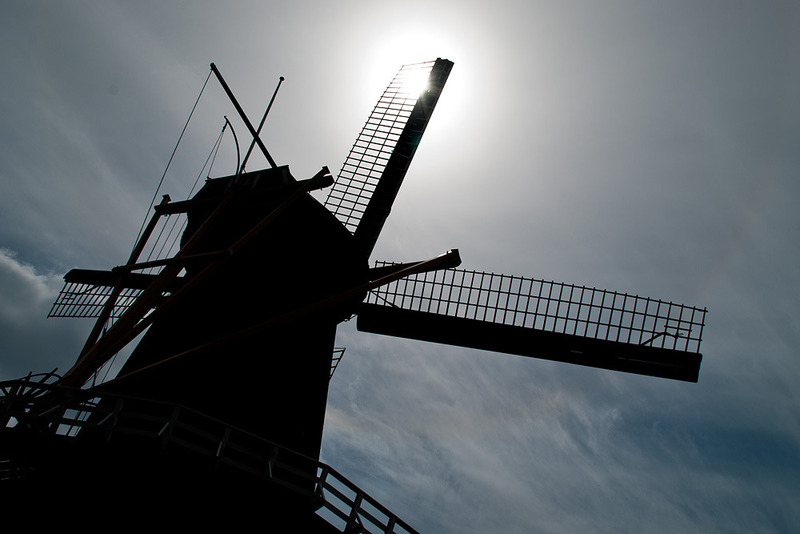 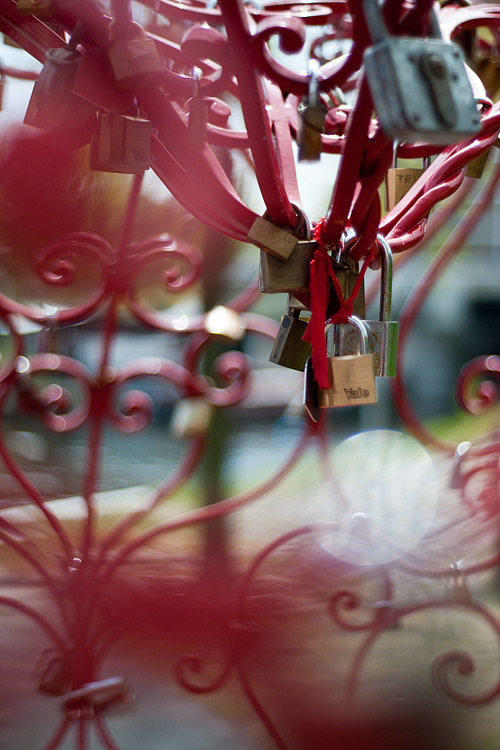 I started with Delfshaven, a small and picturesque borough, with lots of water, boats and a windmill. 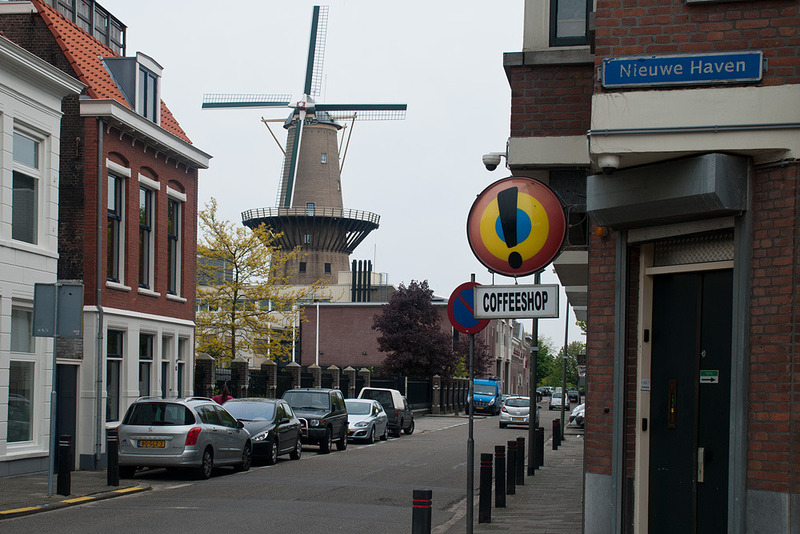 That’s so Dutch. 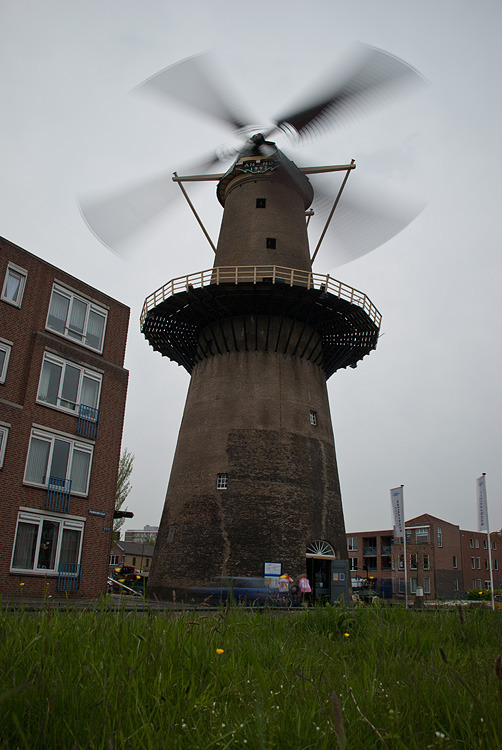 Went on to Schiedam, home of the tallest windmills in the world. 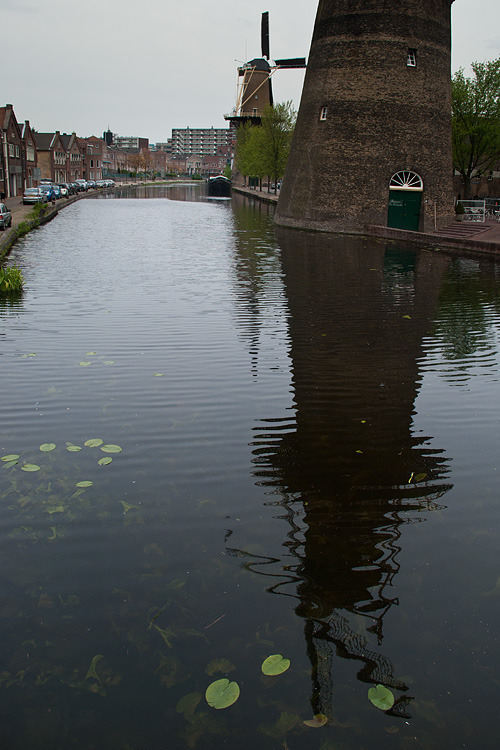 Schiedam was kinda deserted, one of the few people wandering around told me it was a holiday and was surprised that I didn’t know which one: “Aren’t you Christian?”. 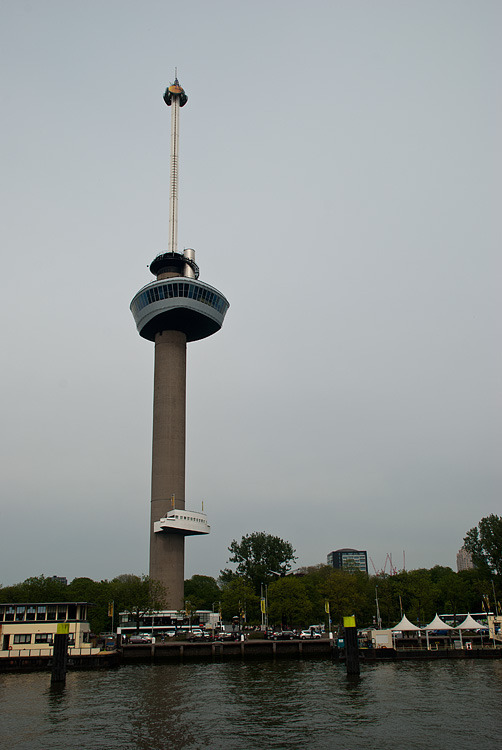 Couldn’t miss Euromast. 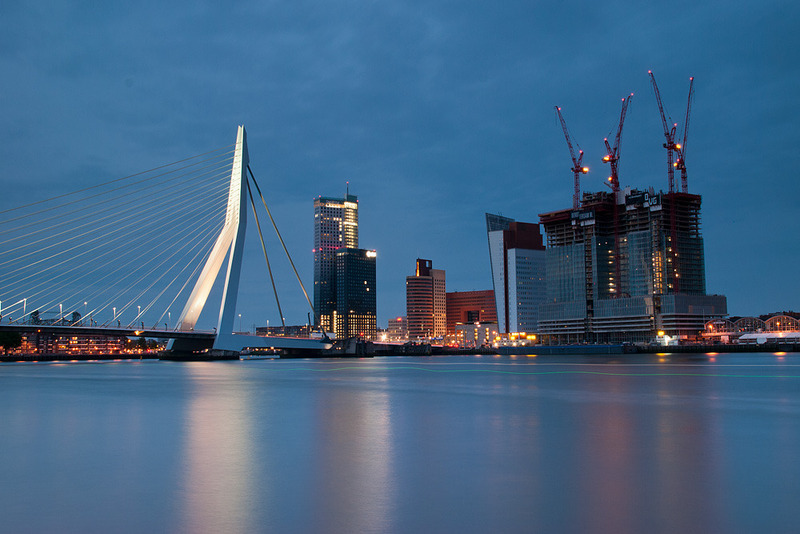 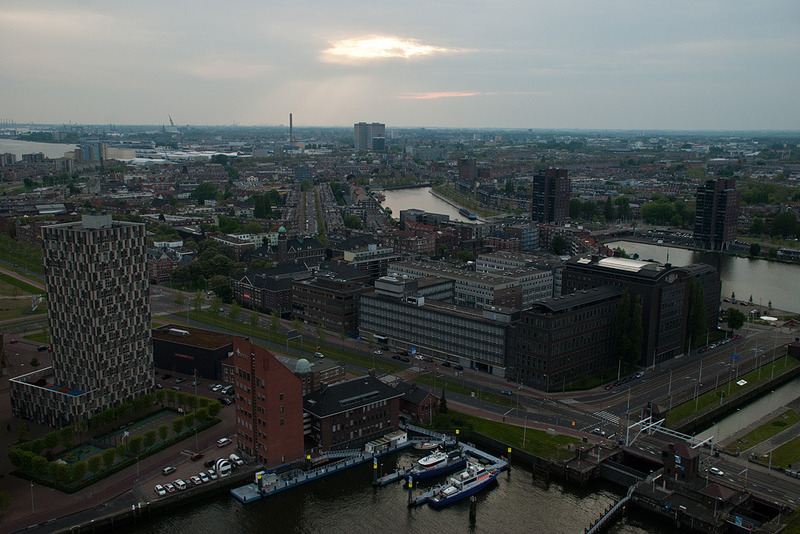 Went with its rotating platform up to 185m, for a great view of Rotterdam’s skyline at sunset (and even Hague, in the distance). 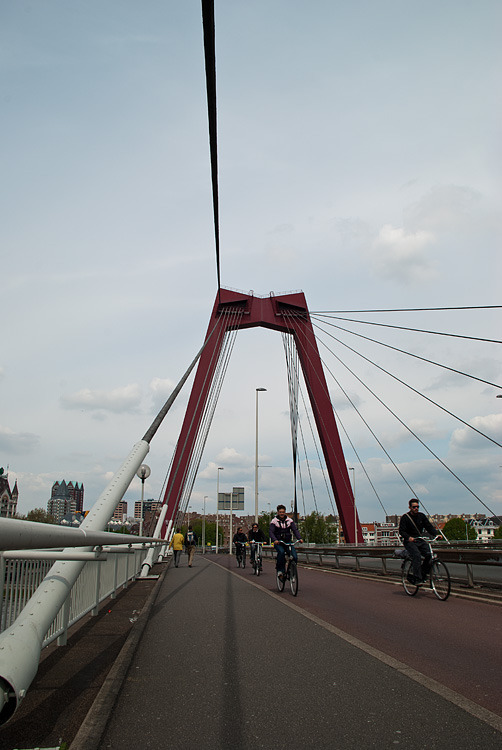 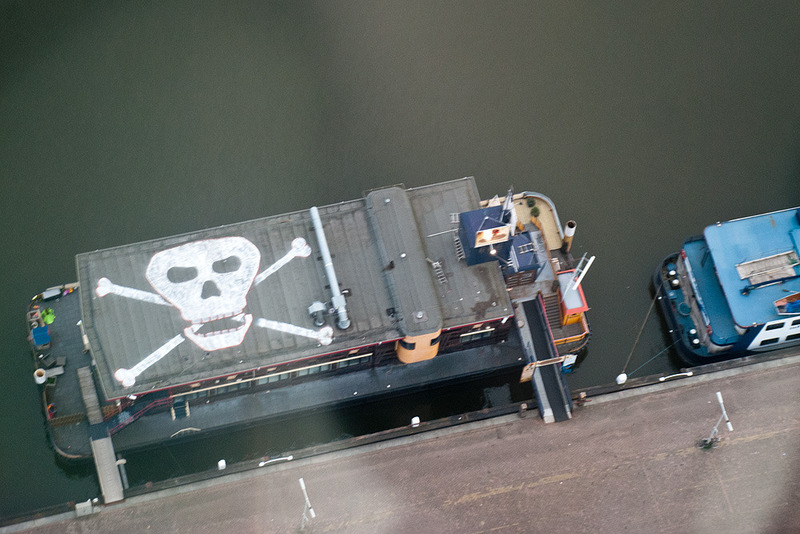 Rotterdam was nice, but after 10 hours of cycling and sightseeing, I felt a little bored. 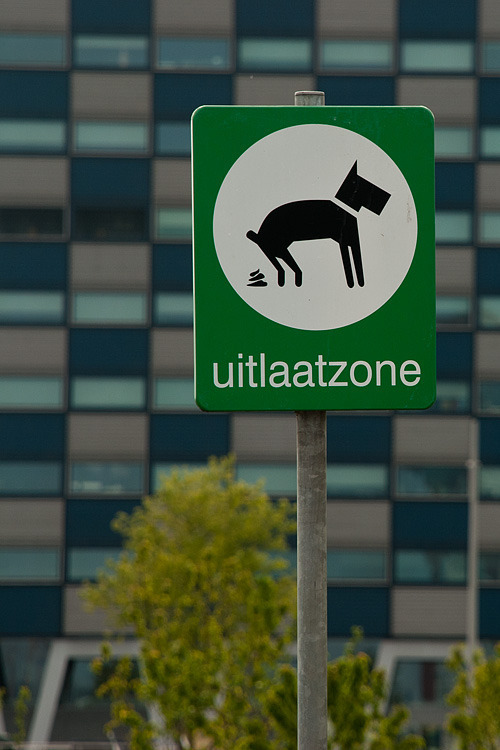 Solution? 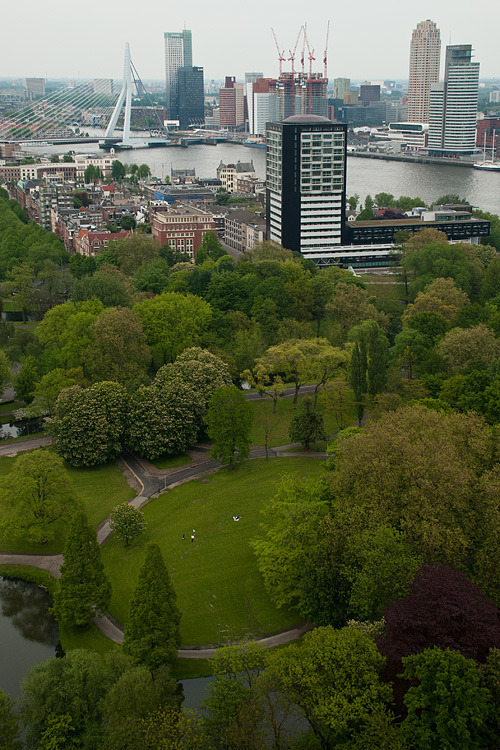 Amsterdam!